In my ongoing attempt to occupy myself during these last few weeks before Chase's arrival, I've decided to turn into Betty Crocker. Or Martha Stewart. Or whoever you equate with a bake-a-holic. So I've deemed today my own personal "Cookie Day." I am working with three recipes, one of which I've tested previously and absolutely fell in love with! All of these recipes are from Smitten Kitchen -- a foodie blog I highly recommend to anyone who knows their way around the kitchen... and even those that don't! The first step in celebrating Cookie Day was, of course, to clean my kitchen OCD-style. Check!! 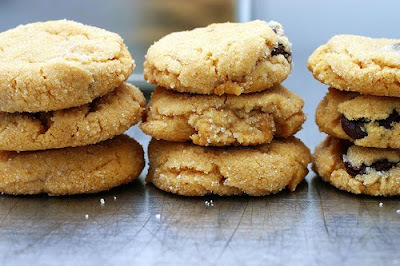 The recipe I've made previously and loved was Peanut Butter Cookies. These things are to die for! They come out so soft and chewy -- absolutely fool-proof and delicious! You can substitute anything for the chocolate chips and peanut butter chips. I've used all chocolate chips and even M&Ms with great success! This is now my one and only peanut butter cookie recipe. 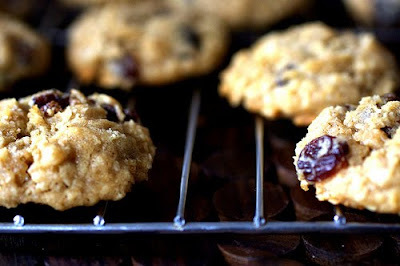 One of the new recipes I'm planning to try is Oatmeal Raisin Cookies. These look delish! I've always been a fan of oatmeal raisin cookies because somehow I've convinced myself that these cookies are "healthy" -- what with the raisins and oatmeal... right?? Right??! My next new recipe test is for Snickerdoodles. 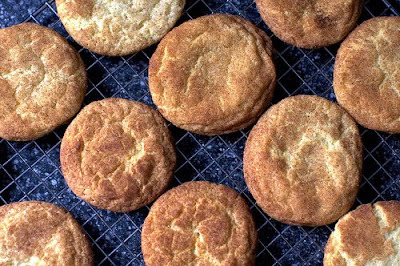 I don't think you can do snickerdoodles wrong, unless of course they come out like crunchy little coasters. I'm a fan of the thick, chewy cookie -- if I wanted something crunchy, I'd grab a cracker! So I'm really hopeful these come out as wonderful as they look! How did the Snickerdoodles turn out? They are the ones I like to make the most. You could always bake the cookies, freeze them, and then take them to Charleston for the nurses that will be taking care of Chase. That will give you something to do in the next few weeks while you wait!